Did you know that when you refer a person to Prestige Engineering and they are hired, you are eligible for a $250 referral bonus? Please review the open position board on this website and pass along the information to someone today or contact our Recruiting Dept. at (586) 868-4000! 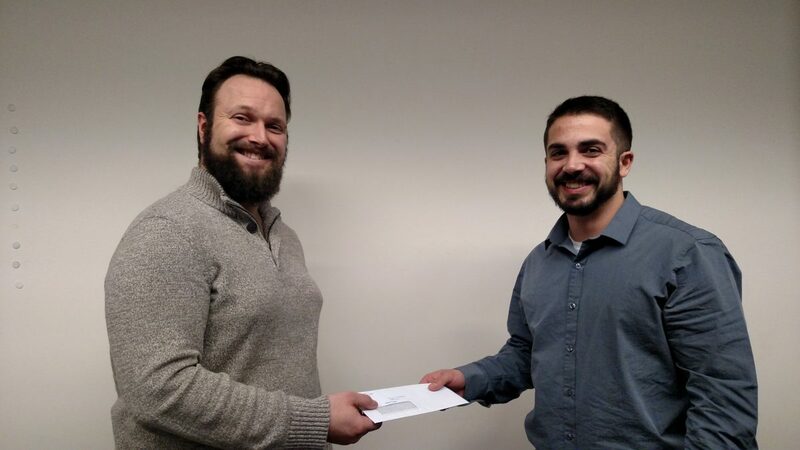 (Pic below) Kyle Denny presents Russ Cassara with his $250 referral bonus. Kyle was referred by Russ and started on the Veterans Internship Program in Auburn Hills January 2016.